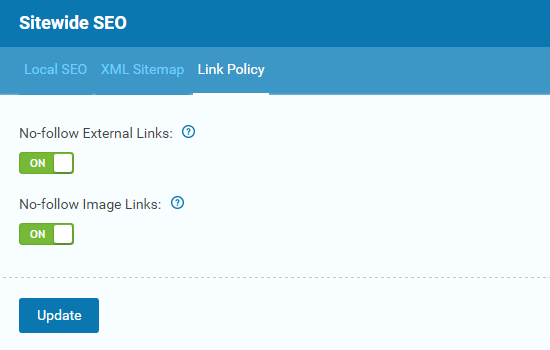 After setting up the Automatic Smart Linking, let’s take a look at how you can set up your Sitewide Link Policy to take full control of your outbound links. It only takes a few simple steps to do. 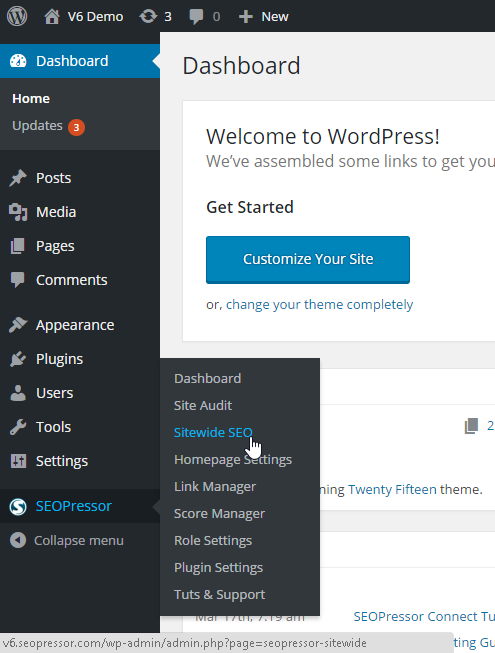 Step 1: Go to the WordPress menu on your left, click ‘SEOPressor > Sitewide SEO‘. 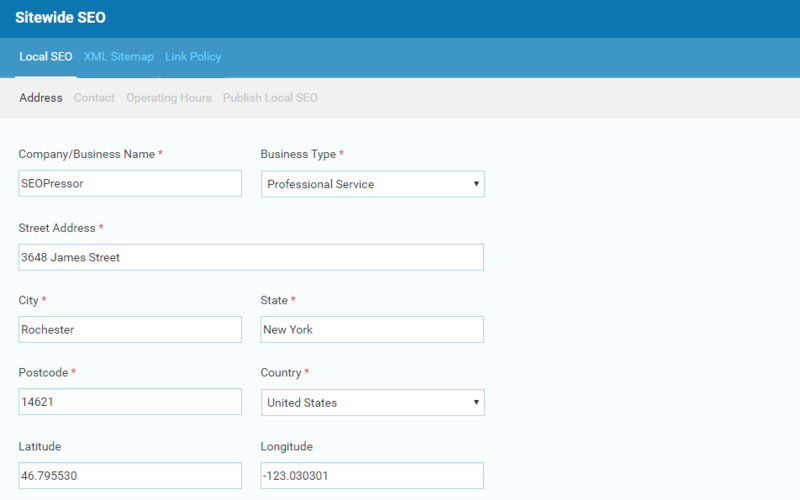 You will be directed to Local SEO under Sitewide SEO. 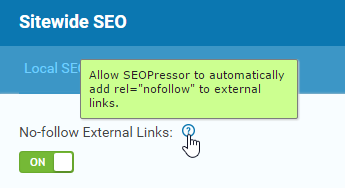 Step 2: Go to the last tab, ‘Link Policy’. 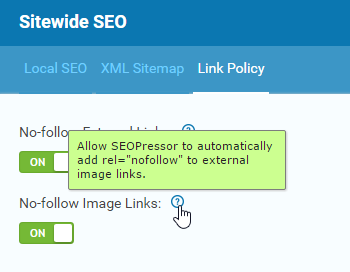 Here, you can choose to turn on or turn off the No-follow External Links and No-follow Image Links. You can also mouse-over to the small question mark, which is a tooltip to further understand the functionality. Final Step: Click ‘Update’ once you’re done.